1. 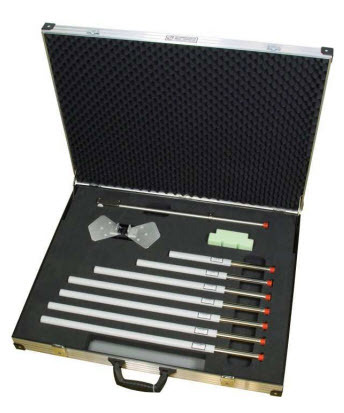 Schwarzbeck offers an Fully Compliant ISO 11452-9 Antenna Set to test immunity against transmitters. ISO 11452-9 defines a number of antennas to test immunity against handy transmitters. The following table lists the described antennas included in the ISO 11452-9 Antenna Set. 16-1-4 Site evaluation above 1GHz, including transport case. Elements for radiated immunity caused by handy transmitters for SBA 9119. Spacer for 422 NJ. Test distance 30 mm. The Empower RF Solutions Model 2198 covers the ISO 11452-9 range of 20MHz to 6GHz in a 3U chassis. All Empower amplifiers come standard wtih Automatic Level Control (ALC), which means that can set the output power at the required 20 Watts for ISO 11452-9 and the Empower 2198 Amplifier will maintain that output level at all frequencies. The 2198 is a tri-band amplifier housed in a single chassis and is suitable for high bandwidth, high power CW, modulated, and pulse applications. This amplifier utilizes both High power LDMOS and GaN devices that provide wide frequency response, high gain, high peak power capability, and low distortions. Exceptional performance, long-term reliability and high efficiency are achieved by employing advanced broadband RF matching networks and combining techniques, EMI/RFI filters, and all qualified components. The amplifier is constructed with a 3RU drawer, including the forced air-cooling. 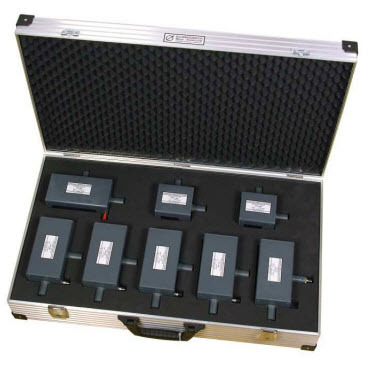 Available operating voltage configurations are single phase 100-240 VAC, up to 400Hz and 28 VDC. The amplifier comes standard with user selectable modes; Automatic Level Control (ALC) and Manual Gain Control (MGC). Each band overlaps and selection of the band is easy via the front panel touch screen or with a PC connected to the Ethernet port as a peer connection or networked. The amplifier includes a built in control and monitoring system, with remote management and diagnostics via an embedded web server allowing network managed site status and control simply by connecting the unit’s Ethernet port to a LAN. Using a web browser and the unit’s IP address (IPV4) allows ease of access with the benefit of multi-level security. The control system core runs an embedded OS (Linux), has a built-in non-volatile memory for event recording, and factory setup recovery features. The extended memory option allows storage of control parameters and event logs. Empower RF’s ISO9001 Quality Assurance Program assures consistent performance and the highest reliability.